Tragedy struck the life of Pornchai Moontri obstructing justice and mercy. Now echoed in a prayer by Thomas Merton, the redemption of Pornchai evokes the Year of Mercy. Some recent posts over on These Stone Walls made me want to revisit something I published a few years ago but never got back to. It was an article titled “Pornchai Moontri at the Narrow Gate,” and it has always needed a sequel. A lot has come to light since I first ventured into the remarkable life of this remarkable young man. I have learned a lot about Pornchai’s life, including the fact that at age two in Northern Thailand, he was abandoned to the streets and had to be hospitalized for severe malnutrition before relatives came to rescue him. Living with the wonderful and kind extended family of his mother, he worked hard in childhood, but he was happy. Then, at the vulnerable age of eleven, he was torn from his home, his country, his very identity, and brought to America. In the ordinary course, this could have been a golden opportunity for a child like Pornchai. America should have meant a home, an education, a family, nourishment, a life. Instead, this child was forced by a chain of events into homelessness and despair. How and why that happened to him at age twelve in 1985 is a shocking story waiting to be told. And it will be told. But not just yet. Speaking and understanding little English, Pornchai was deprived of a home, a family, and guidance at an age when most American children coped with little more than school and homework. His childhood on the streets was consumed with the bare necessities of mere survival. On a daily basis, for the second time in his life, Pornchai faced the challenges of finding food, shelter, and the means to survive alone in a foreign land. Six years later, at age 18, a fight and a flight took a life, and Pornchai was sent to prison. Today, Pornchai has transformed from within. He graduated from high school as an honor student in 2012, was Valedictorian of his class, and has since completed post-secondary courses in theology with a Grade Point Average of 4.0 at Catholic Distance University. Then he earned two diplomas with highest honors in Psychology and Social Work at the Stratford Career Institute. He did all of this while in prison with some help from friends to pay his tuition, aided by the sale of some magnificent woodworking projects he created in prison. Today, Pornchai is a mentor to his peers, a source of guidance for others in troubled times, and a model of recovery from the darkest of adversities. Pornchai knows the past will echo throughout his life. He was diagnosed with Post Traumatic Stress Disorder, a cross he had carried alone for much of his life. 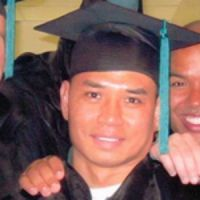 Pornchai Moontri accomplished all of this – or more accurately it was all accomplished within him – while a prisoner in the State of New Hampshire after having emerged from seven years in a long dark night of the soul held in the cruelty of solitary confinement. For his sheer power of resilience and access to the Force within him, Luke Skywalker has nothing on Pornchai Moontri. Late last month, it was my privilege to interview Pornchai via telephone from prison. As we spoke, I could not help but ponder some of the powerful accounts of radical conversion and new life revealed to us in Sacred Scripture. His story feels like some of those. Upon encountering God, Abram became Abraham, Simon became Peter, and Saul – who once persecuted Christ – became Paul. It tells the story of how St. Maximilian Kolbe inserted himself into the life of this wrongly imprisoned priest and then, through him, into the life of Pornchai Maximilian Moontri. It is a breathtaking and remarkable account of Divine Mercy, and required reading during the Jubilee Year of Mercy that commences on December 8, the Solemnity of the Immaculate Conception. Knowing what I know now about Pornchai’s present life and its stark contrast with a tragic past – much of which you can view at the powerful new site,Mercytothe Max – I had some trepidation about broaching some tough subjects, but my concern was premature. We spoke at length about the trauma and trials of the past, and we ended up agreeing that much of this is a story yet to come. So we dwelled mostly on the present and future. I had lots of questions for Pornchai about the daily life he and “Father G” lead in trying circumstances. Like a good reporter, I was trying to uncover who these two men really are and how they live and cope with the day to day trials of decades of imprisonment. Pornchai spoke candidly about their day to day life and the lives of the other prisoners who have become part of their orbit. Some of this was painful to hear. Some of it was very funny. But in the end, I could use little of what I learned. These guys will never be fodder for the usual news media or any of the mundane and shallow media that most consumers of the news have come to settle for. They live on another plane of existence than most, and it is not easy to describe in words. One response of Pornchai struck me hard, however. I have learned a lot about prisons in America. One hard truth is that state prisons virtually starve prisoners, and then sell food to them at a profit. In the New Hampshire prison, the food budget has been slashed year after year, and the daily caloric intake for those who cannot purchase food is on the level of bare sustenance. The prison commissary where our friends may purchase food and supplies once per week has a four-page list of basic food items, hygiene and medical supplies, postage and writing supplies, and even some clothing that prison inmates must provide for themselves. I wondered how someone like Pornchai, with no solid roots in this country, could possibly endure and cope with prison in these circumstances. Pornchai brushed aside the question, but I got my answer from another inmate who asked that I not use his name. He told me that the prison commissary was closed for three weeks in November, and that everyone in the unit where our two friends live ran completely out of food, coffee, postage, and other necessities. The inmate said that Father G and Pornchai gave much of the food they had to others with nothing, and by the end of the second week, Pornchai had nothing but two packages of Ramen noodles left, and another week to go before they could purchase any food. He said Father G and others were going to bed hungry each night, and they kept this to themselves. But the inmate who wrote to me also told me that there was a new inmate in that unit who was living in the overflow bunks in the recreation area of this overcrowded prison. This man is diabetic, and one night had seizures from hypoglycemia. The prisoner said that Pornchai – called “Ponch” by other inmates – brought this man the last two packages of Ramen noodles he had, and told him to come and get hot water for them whenever he needed them. I asked Pornchai – “Max” – if he was discouraged by the recent denial of hisClemency Petition for commutation of his sentence after 24 years in prison. After all, I just read this week that the maximum sentence in the U.S. federal prisons for inmates convicted of that same crime is 23 years, and Pornchai has already surpassed that. He said that he plans to try again next summer, but what he really wanted to talk about was Pope Francis. So our friend Pornchai is now Pornchai-Max, and I for one welcome the addition. At some point – hopefully a year from now if justice and mercy prevail – he will be released from the prison to which he was consigned at age 18. At that point, he will be detained elsewhere until his deportation to Thailand, a country he has not seen since childhood. 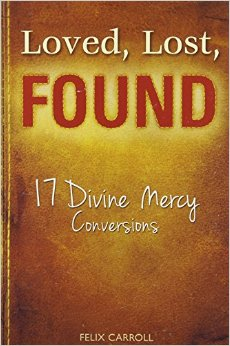 Last year Felix Carroll and Marian Press published a wonderful book, Love, Lost, Found, with a chapter that chronicles the story of Porchai Moontri and his Divine Mercy conversion. The Divine Mercy apostolate in Bangkok has become very interested in Pornchai-Max, and plans to receive him when he arrives. But he will have to start his life over and that is no easy task. As this coming Year of Mercy commences, lets make this a mission of mercy. Inquiries can be sent to me at macdonaldryan8@gmail.com. Thank you for reading. Let the Year of Mercy commence!